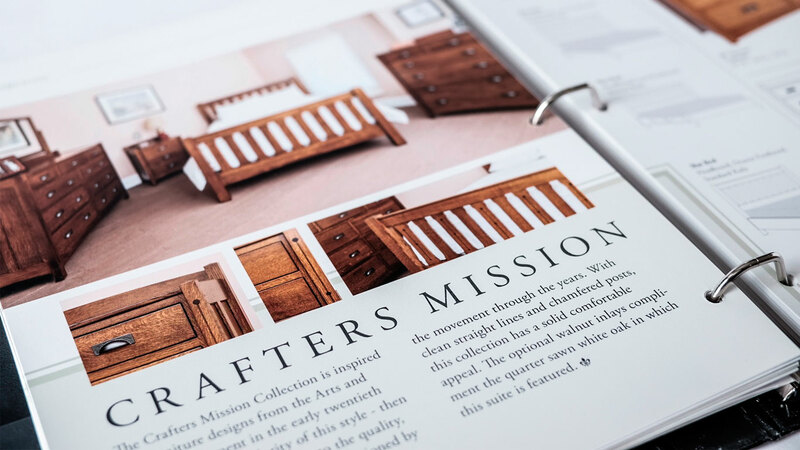 We’d been working with Edward Beachy of Glenmont Furniture for about a year – updating his logo, drafting a motto statement and tagline, and designing sell sheets – when he asked us to undertake the monumental task of creating a brand new catalog to showcase the elegant bedroom and dining sets that he and his staff hand craft. This project was the perfect melding of left- and right-brained tasks for our team. We set up and art directed photo shoots to obtain stunning new shots of Glenmont’s handiwork, a vast improvement over some of the Photoshopped shots from before. Additionally, we developed a clean and simple color-coding system to differentiate several collections. 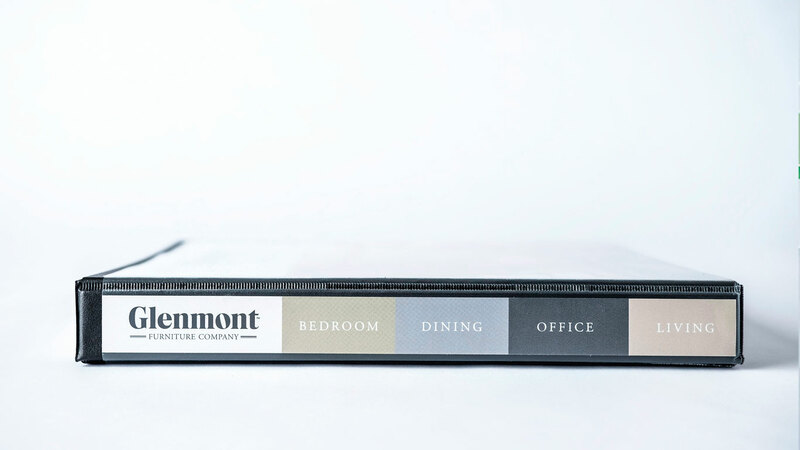 At the same time, we managed and kept track of literally hundreds of different item numbers, dimensions, and customization options – a wealth of information – that needed to be clearly and succinctly communicated to Glenmont dealers around the country. The end result? An artful, clean, comprehensive resource, highlighting one of Amish Country’s master craftsmen. 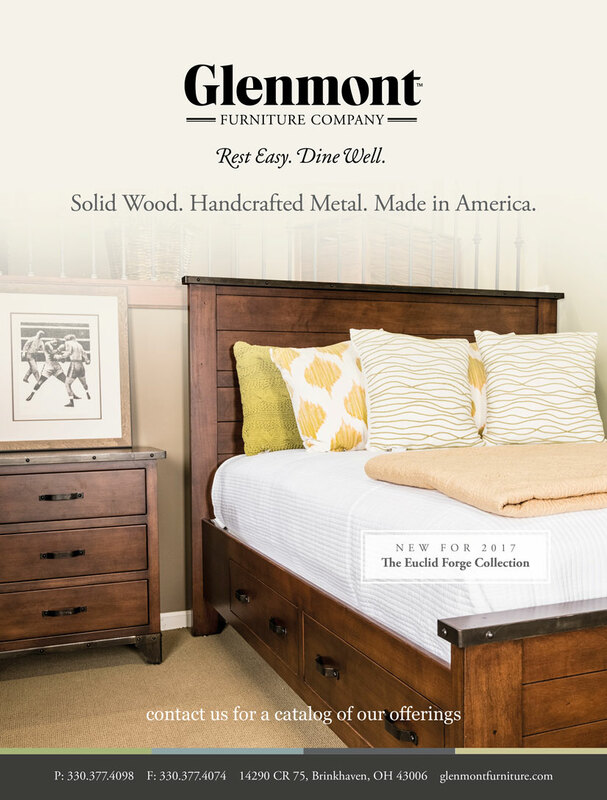 As our friends at Glenmont Furniture seek to expand their dealer network, getting their hand-crafted hardwood furniture onto showroom floors in stores west of the Mississippi, they’ve opted to begin advertising in Furniture World magazine, a trade publication with nationwide distribution. 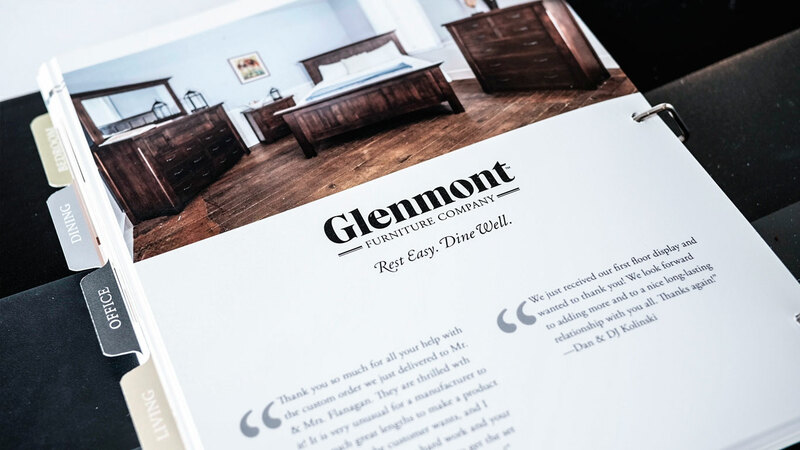 Cassel Bear is on hand each time a new full-page ad is due – planning and styling photo shoots, capturing beautiful imagery, and then designing ads which showcase the artistry in each piece that leaves Glenmont’s shop. Of special interest is the new release of the Sullivan bedroom suite, highlighted in Furniture World’s November-December 2016 issue!